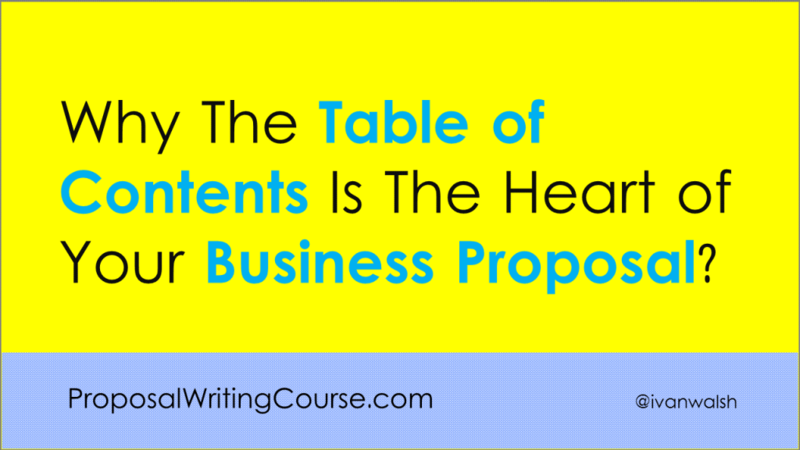 Over the coming weeks, we’ll look at how to write a proposal for Consultancy Services. This will be of use to government agencies or other bodies that want to procure the services of a consultancy firm, for example, an advertising agency, a PR or HR firm or another type of company that provides specialist services. This type of proposal differs from contracts where, for example, you want to use a specific product, piece of equipment or have very exact specifications in mind. In a proposal for Consultancy Services, you want to determine the most appropriate firm based on their expertise and capacity of deliver based on your needs. To get started, I will create a table of contents for each of the main sections and then drill-down into each section. In the next lesson, we’ll look at how to write the Introduction.